The best diaper bag makes your life easier when you are out and about with the smallest love of your life. The best bag allows you to carry all you need in as comfortable manner as possible. Baby diaper bags come in all shapes and sizes now a day. From discreet diaper backpacks to cool and stylish diaper bags... choosing only one can be the biggest challenge. Diaper totes are like oversized handbags. They usually come with either one long shoulder strap or two shorter handle straps. Some come with detachable straps so you can turn the tote into a backpack or messenger bag if preferred. Diaper totes tend to be discreet diaper bags, i.e. many look like big stylish handbag rather than baby diaper bag. There is great variety of colors, patterns, fabric, and styles on offer, making tote diaper bags very popular, especially among women. However, there are diaper totes available aimed towards both parents. The biggest downside of diaper totes is that they can be heavy to carry and put unnecessary strain on the shoulders and neck. They can also restrict your movements somewhat, which can be tricky when dealing with young baby or toddler. This is why many parents prefer diaper backpacks or messenger bags as they leave the hands free and are easier to carry. Messenger bags have one strap and can be carried on the shoulder or across the chest. This distributes the weight more evenly, making it easier to carry it when heavy (like diaper bags usually are). It also means your hands are free to look after your baby. Diaper messenger bags can be very discreet and stylish diaper bags. They tend to be unisex, though some may appeal stronger to fathers and others to mothers. Backpack diaper bag can look like any other backpack but comes with extra compartments dedicated for all the baby stuff you need, e.g. hold changing pad, wipes, bottle, etc. Diaper backpacks are very practical choice for parents. Carrying the bag on your back means the weight is more evenly distributed and your hands are free to look after your baby. Most diaper backpacks are unisex so both parents should be happy with carrying the backpack around. Most specialists now advice against stroller diaper bags, as hanging heavy bag on the handlebar can cause the stroller to tip backward and could hurt your baby. It is safer to store your diaper bag in the shopping basket underneath the stroller. There are number of practical things to have in mind when choosing the best diaper bag for you and your baby. You want a bag big enough for all the things you need for your baby but not so big that you struggle finding what you need when you need it. Too big bag also increases the risk of you carrying too much in your bag, making it too heavy for comfortable and safe everyday use. So think about what you need on daily basis and choose the size accordingly. Some people prefer to carry lot with them, other have to, e.g. those with twins or child with special needs. If this is the case, then you might want to consider owning separate smaller diaper bag or diaper wallet for shorter trips. Baby diaper bags can be surprisingly heavy so the lighter the empty bag is the better. All straps should be wide, padded, and adjustable. As importantly, how you carry the bag can make a lot of difference. Being able to carry the bag across your chest (like messenger) or on your back (like backpack) is preferable as the weight is more evenly distributed and your hands are free to look after your baby. Good internal and external structure is important. Consider the quality of the material used. The material should be durable and easy to clean, stress points reinforced, zippers sturdy, etc. The internal and external organization is also important. Separate secure compartments can be handy and easy access to essentials is… well, essential. Most diaper bags come with changing pad, but if not, make sure there is enough space for one in the bag as you will need one. Some of the best diaper bags come with insulated bottle holder and separate diaper wallet, i.e. for basic essentials for quick trips. 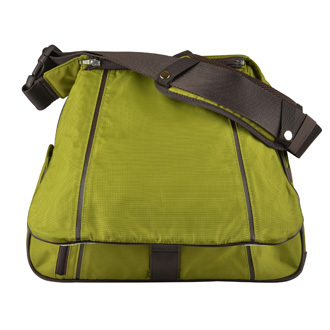 You can also get diaper bags with separate compartments for cell phones and laptops / tablets. Who Uses The Diaper Bag? This is actually quite important question. If you are the only one using the bag, then the best diaper bag is the one you like. However, if you are sharing the bag with your partner or baby sitter, then you need to take their taste and wishes into consideration. Not everyone will be willing to carry pink or floral diaper tote around. If you own only one diaper bag or if you are sharing it with others, then the best diaper bag may be discreet and conservative looking, e.g. messenger bag in one solid color and unisex style. 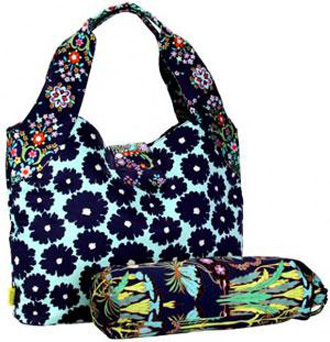 However, if you are the only user, or if you own more than one diaper bag, then you might want to consider something more stylish, or even personalized diaper bag. Most importantly, whatever you like, you should be able to find it. What Is The Best Luggage For Families?